Whether you love prosecco, cava, cremant or champagne, the UK's love for all drinks sparkling and fizzy shows no sign of abating! Sparkling wine sales have increased by 76% in the last 5 years, and whatever your tipple, a delicious glass of fizz is no longer restricted to special anniversaries or occasions but is drunk all year round. 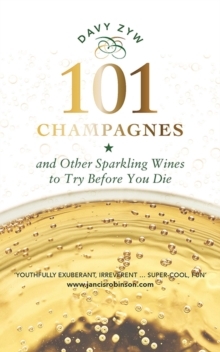 This new book from wine expert David Zyw is sure to become the definitive guide to the best fizz available.